Great addition for my son’s new bed! A decorative and functional addition to the bedroom, this microfiber bed skirt has a simple and elegant design. The bed skirt has a contemporary design and can gracefully blend with most interiors. 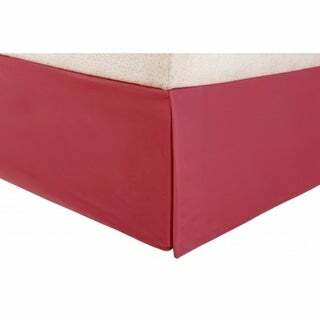 The Kotter Home Micorfiber Bed Skirt is easy to care for and maintain. It can be machine washed to ensure that it is clean and continues to look good for a long time. Add the finishing touch to your bedroom decor with our 1500 Series Microfiber Bed Skirt!